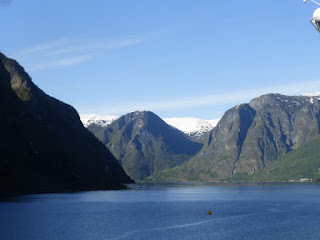 My Holiday Photos. 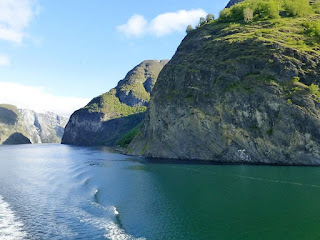 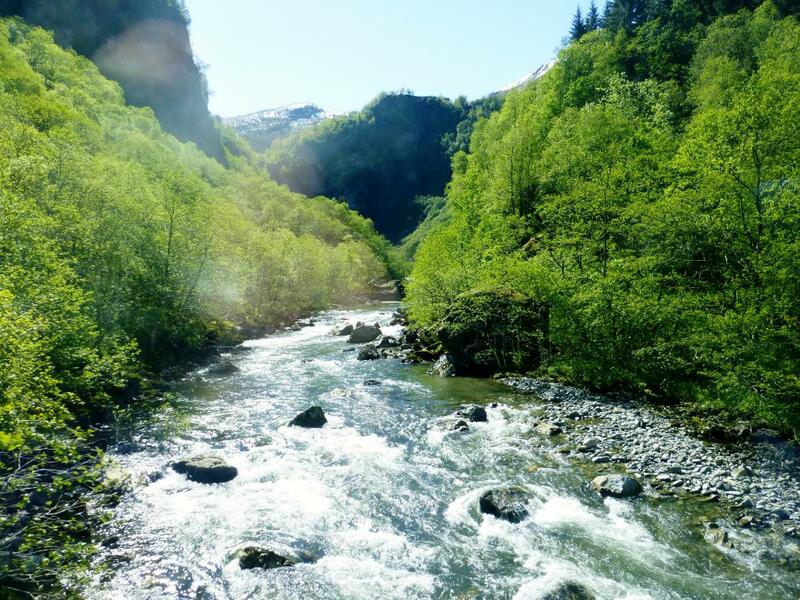 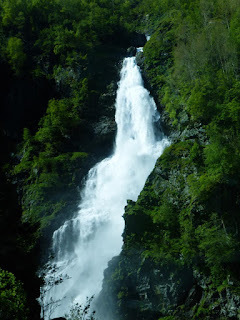 : Norwegian Fjords June 2015 - Flam. Our next call was to Flam and once again there is no need for many words. 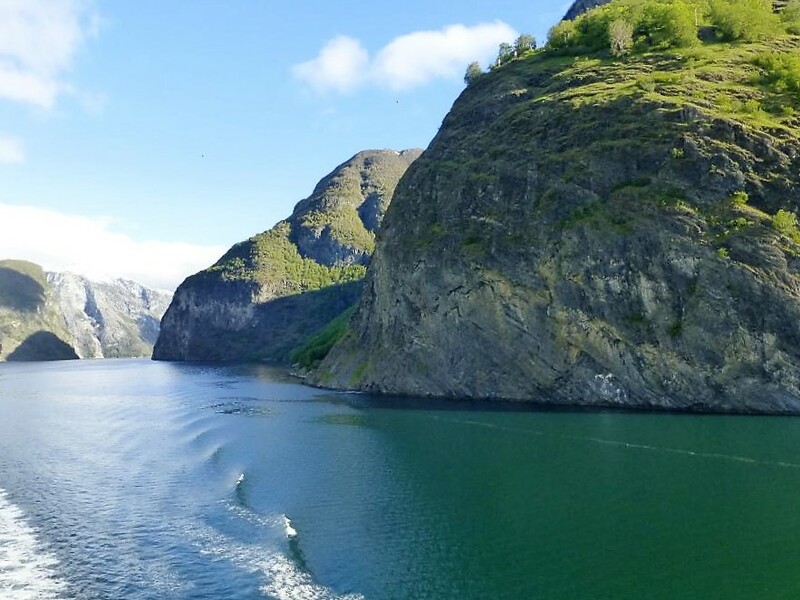 It's all about the scenery. 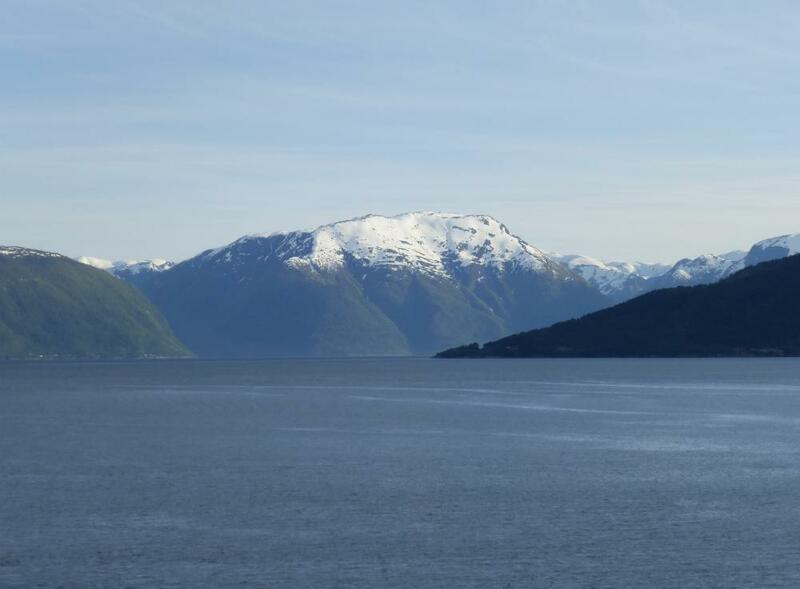 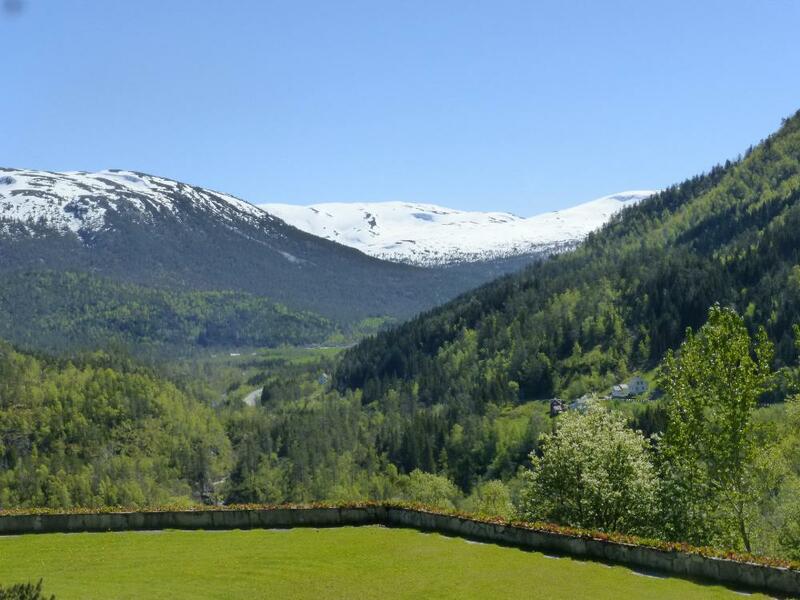 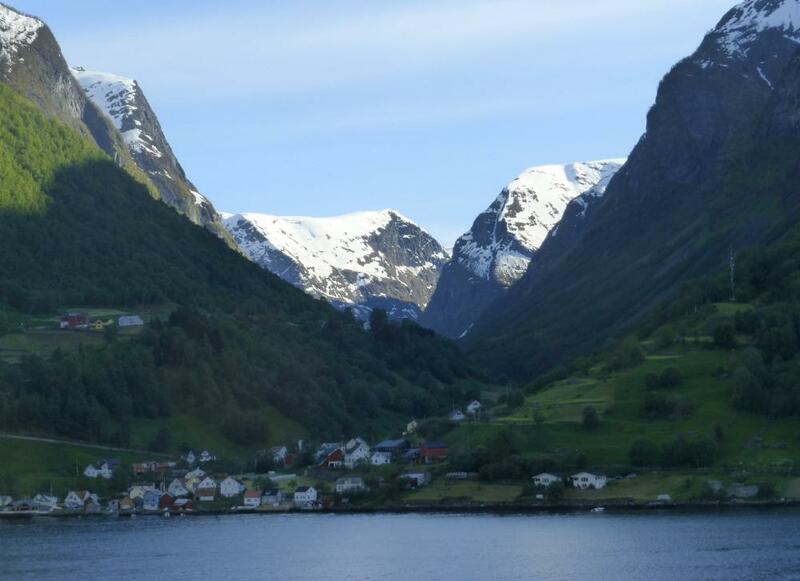 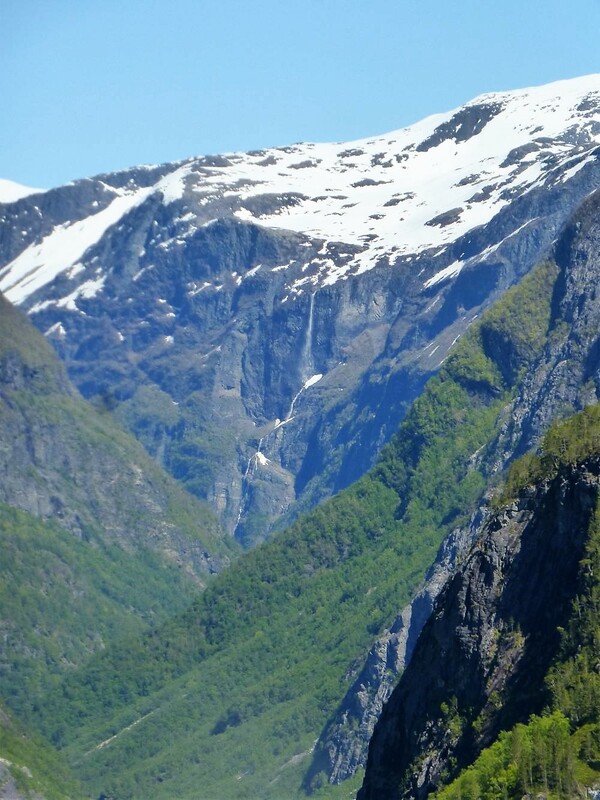 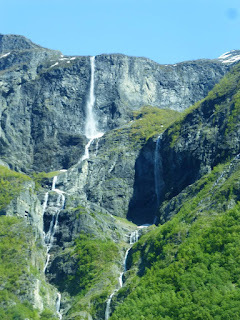 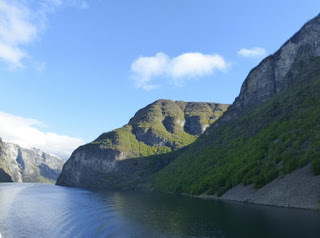 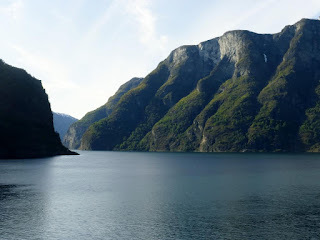 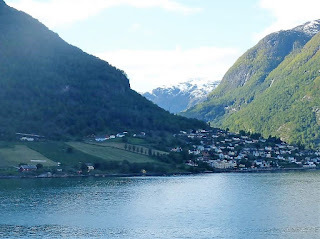 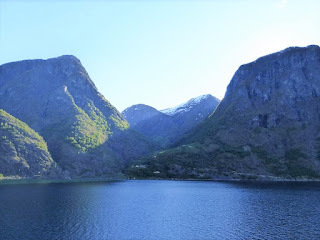 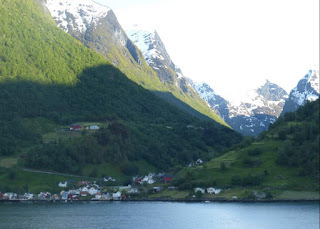 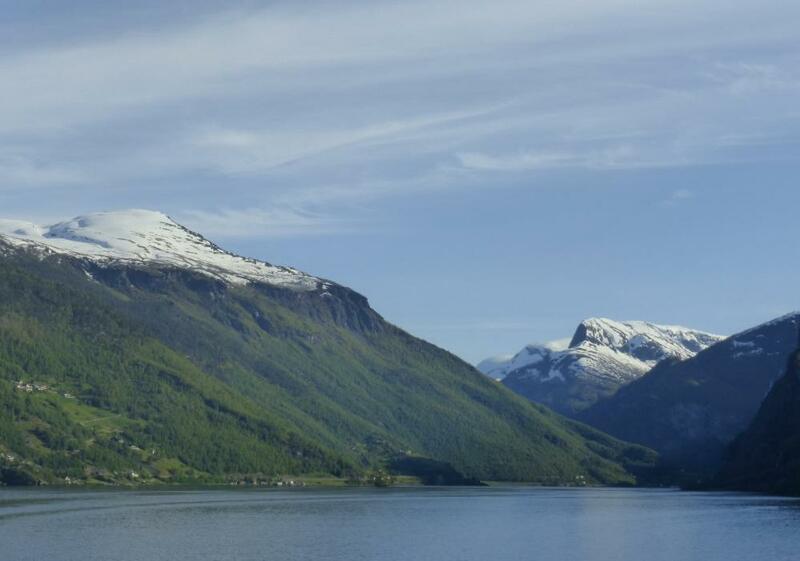 Photos 1-4 are the approach along the Aurlandsfjord., a branch of the huge Sognefjord. 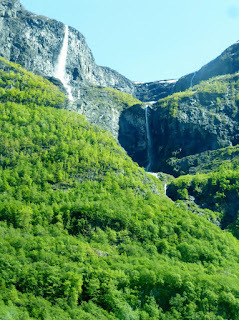 Once we got there we took a half day sightseeing tour. 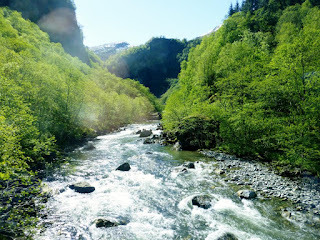 We went through many tunnels and our guide joked that if a Norse man sees a mountain he has to build a tunnel through it. 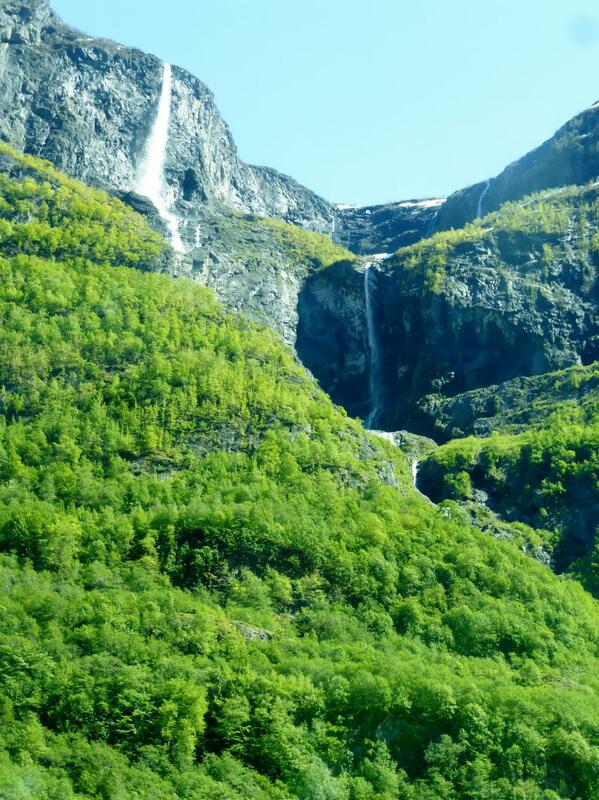 Photos 5-10 are taken during the tour. 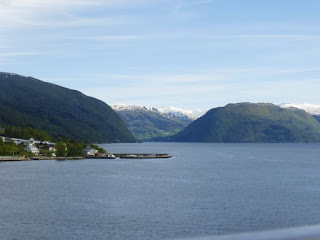 The following photos are sailing back down the fjord. 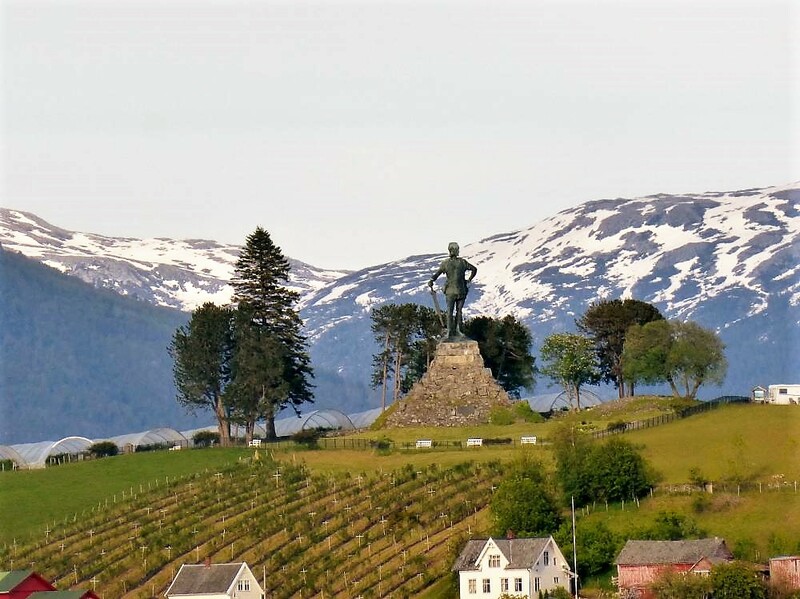 In the distance I could see a statue which I later found out was of the Fridtjov the Bold overlooking Sognefjord. 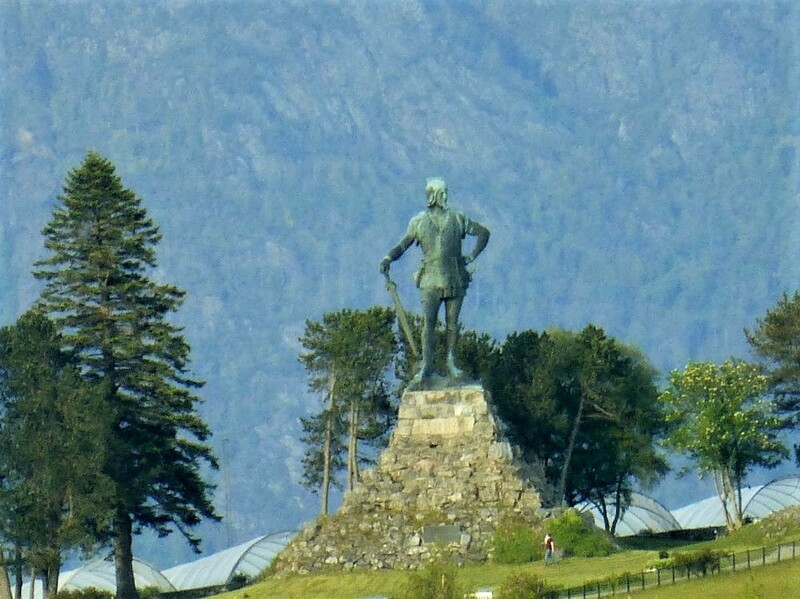 The statue stands in a country park and was a gift from Emperor Wilhem II in 1913. I zoomed in but the photo isn't very clear. 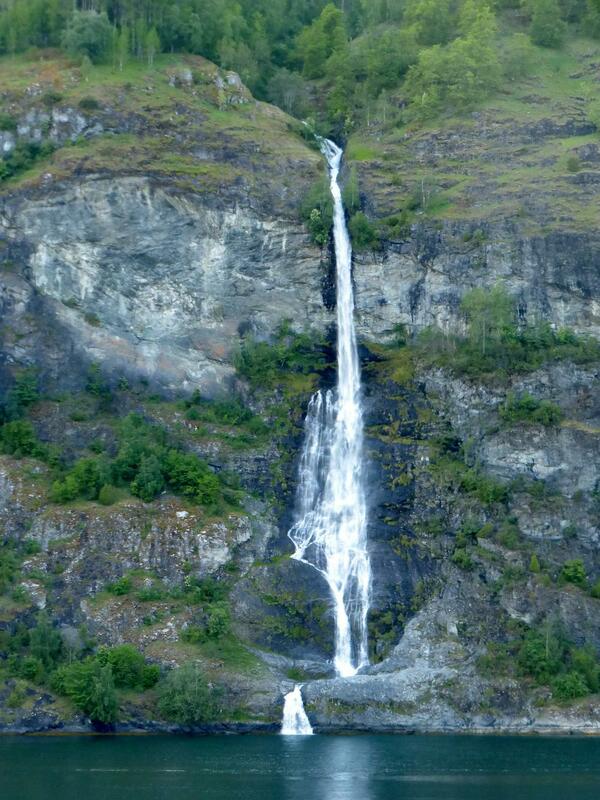 There is a much better photo in the link above.